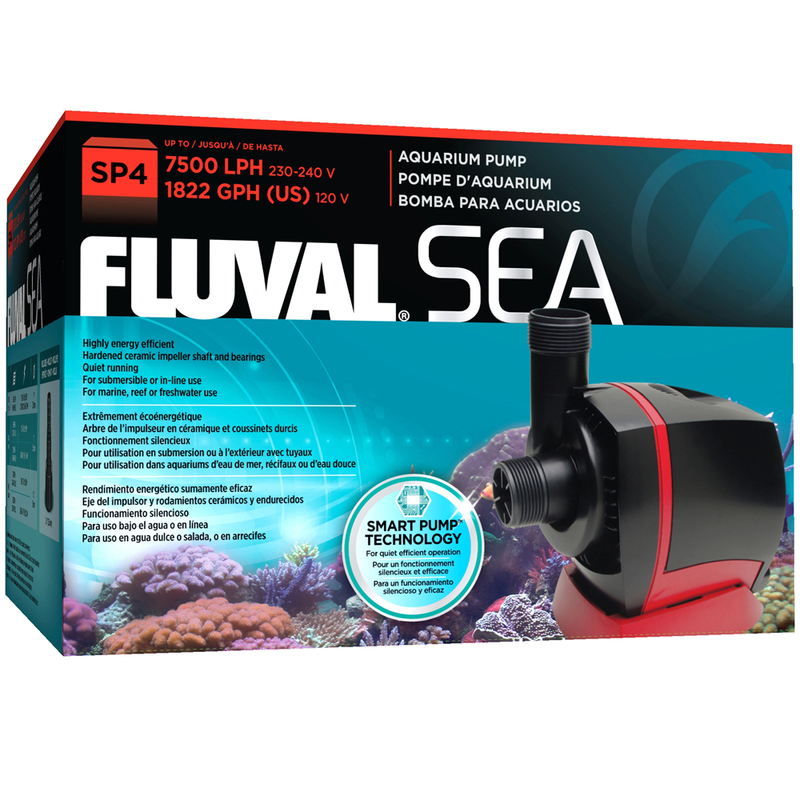 Engineered and manufactured in Italy, SP series are designed to deliver powerful flow rates at various head heights, ensuring excellent water movement in almost any marine or freshwater application. 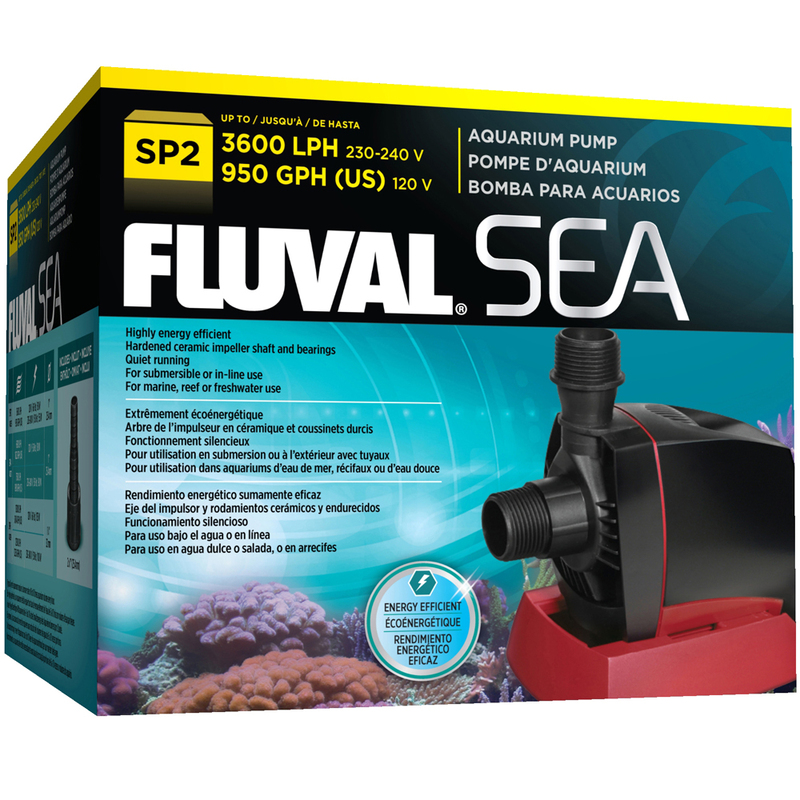 The magnetically-driven units, which can be plumbed in or out of an aquarium, feature Fluval’s patented Smart Pump™ technology – an innovative system that electronically monitors pump performance on a 24/7 basis to ensure output and energy efficiency are maximized at all times. Controlled by a digital circuit board, Smart Pump™ continuously monitors and adjusts pump performance to offer a powerful output, great energy efficiency, directional start-ups and RPM speed. Robust Italian-made shaft/bearing support system prevents calcium build-up and reduces wear, which offers better performance and resistance wear over time. SP Pumps operate at a relatively cool and even temperature to avoid affecting water temperature. A thermal switch automatically shuts the unit off in the event of overheating. The system will restart once the internal temperature drops. Unit can be plumbed internally or externally of the tank. Designed to replicate strong-flowing currents from natural, fast-moving bodies of water. Barbed hose fittings prevent hose disconnect. North American & European compatible. (L x W x H) 7.5 x 7 x 4.5"
(19 x 17.8 x 11.4 cm) 7.5 x 7 x 4.5"
(19 x 17.8 x 11.4 cm) 9 x 7.5 x 4.5"